HOW can we know such a little about one of our favourite brands in South Africa? Well, whether you love the stock cubes (my favourite), salad dressings, packet pasta (ermahgerd I used to LOVE this stuff in college!) or cuppa soups, KNORR products are used the world over the keep us full and happy. On the 16 October 2017 you can join the fight against hunger with KNORR and FoodForward SA by simply sharing the hashtag of #ShareAMealSA. 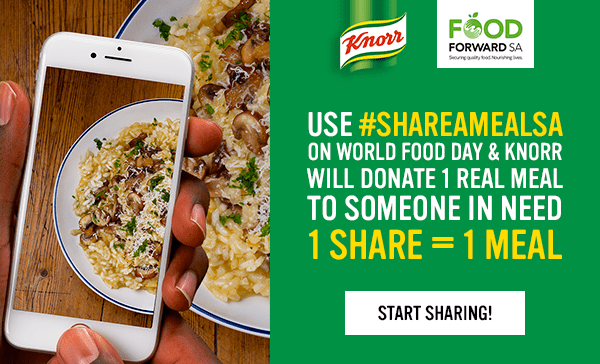 KNORR has committed to donate one real meal through FoodForward SA for every facebook post or tweet of #ShareAMealSA. The campaign is part of a global movement enabling people across the world to help create a brighter future where nutritious food is more accessible on a daily basis. 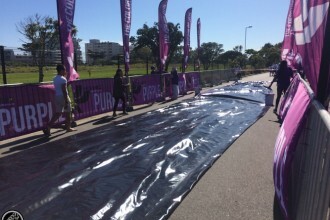 FoodForward SA is a national non-profit organisation that distributes food to hundreds of verified beneficiary organisations throughout South Africa. 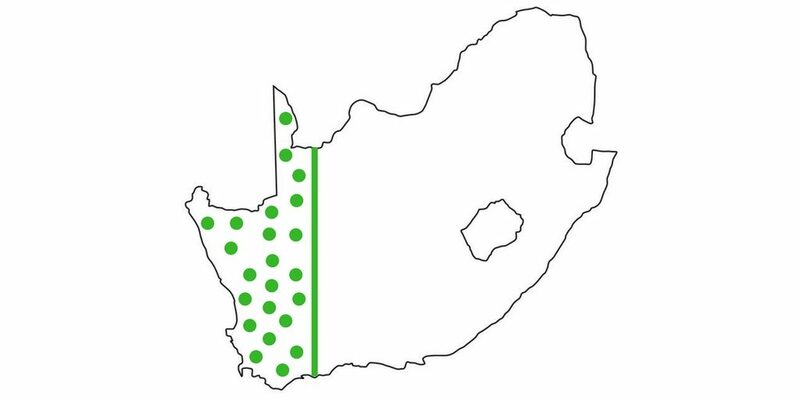 How Much Food Do We Waste in South Africa? 14 million people!!! We only have 55 million people! That’s a QUARTER of our country going hungry. Come on South Africa, we are LITERALLY better than that. GET TWEETING & GET FEEDING! PLEASE MAKE SURE YOUR POSTS ARE SET TO PUBLIC SO KNORR CAN SEE THEM! Please help me make a difference this World Food Day by simply sharing #ShareAMealSA and helping stop hunger in its tracks – one post at a time. Thank you!